1. Take more photographs and learn how to use my new camera properly. 2. Sort out my A-level options and hopefully decide to some extent what I want to do with my life. 5. Buy items of clothing that are versatile and will last - not ones I like for a month and never wear again. 6. Draw and paint more. 7. Make my blog less superficial and be a better twitterer..er. 8. Have fun and love my boyfriend, friends and family more than ever...n'awww. 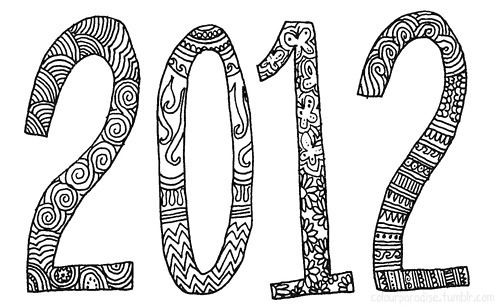 Wishing you all an amazing 2012! Hello there sweetie! Thanks for for following me, it means a lot to me! Great blog, I really like it, congrats! Great blog ! want to follow each other :)?